The SP100 has a polymer body intended for use in applications up to 80ºC and 4 bar (58 psig). This sensor may be a more economical alternative for low temperature and low pressure industrial applications. The SP Series ProcessProbe™ electrodes are available for pH and ORP (Redox) measurements. The SP Series electrodes are 12 mm x 120 mm with a threaded PG13.5 cap. These dimensions make them compatible with many pre-existing housings found in industrial and waste treatment applications. Like all ProcessProbes™, these electrodes are designed to work with Broadley-James transmitters and most other brands of existing instruments and cables. The Double Junction Reference system used in all Broadley-James’ ProcessProbes™ reliably prevents process contaminants from fouling the reference. Since the reference is sealed, there is no electrolyte maintenance required. 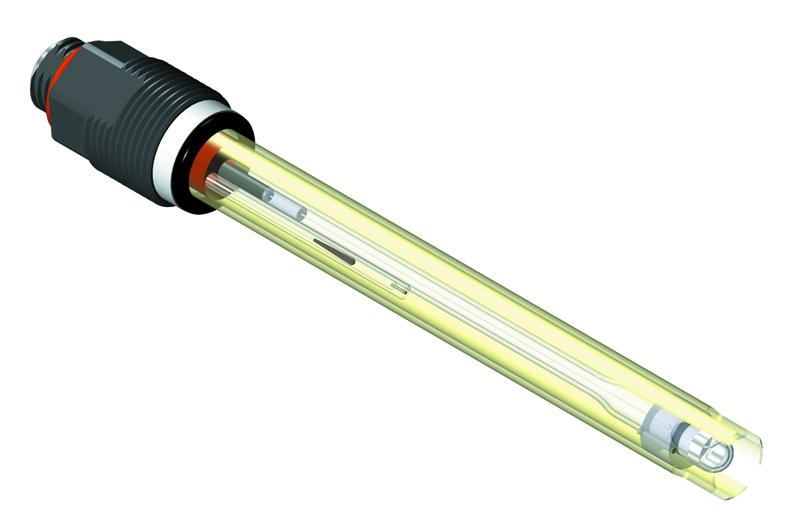 For High Pressure and/or High Temperature applications, request literature on Broadley-James’ DynaProbe® sensor line. Housings, cables, accessories, and instruments are also available. Please contact us for additional information at the address and phone numbers below.